So you’re having a baby, and let’s be honest, life is about to change. If you’re approaching your third trimester you’re probably feeling tired, starting to get nervous about meeting your little one, excited, anxious and every other emotion in between. Have you considered going on a “BABYMOON”? No joke! Crazy right, who would have thought there is such a thing? Babymoons are currently one of the hottest travel trends. Think about it, your family of 2 is about to become 3 (or perhaps 4, 5 or 6) then the thoughtof going on a babymoon is exciting right? If you think of a babymoon like a honeymoon then you get my drift. Babymoons can range from resort packages, health and nutrition classes/retreats, traveling domestically or internationally or even just a simple weekend away up the road. · Make sure you and your partner agree on the location to ensure you both get to relax and enjoy your time together. · Once you have an idea on where you might like to go to, get the all clear from your obstetrician / midwife before booking anything. While domestic travel is recommended you will still need to check with any airline to ensure you meet their restrictions on travelling whilst pregnant. · If you have a couple of destinations in mind and can’t make a decision then it won’t hurt to check out what medical facilities are available. Preferably, choose somewhere with close and adequate health services just in case your little one decides to arrive a little earlier than expected. The most importantly thing to remember for your babymoon - look after yourself, relax, get pampered and spend some quality time with your partner before the next chapter of your life begins. 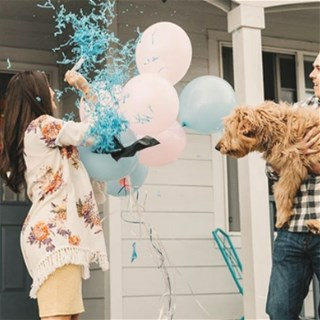 Are you planning a gender reveal party for your impending arrival? Or, maybe you just love checking out some gorgeous party styling on Instagram- there are some amazing gender reveal ideas out there to be inspired by!